The Dominican Republic blue marlin season has been incredible this year, over 900 blue marlin released by the fleet !!! 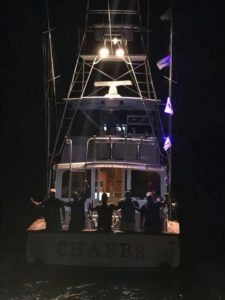 The last month for us on the CHASER, with Garrett Penley and I, and our charters released 44 blue marlin and missed a bunch teaching our guests how to pitch and hook angry little blue marlin on circle hooks. 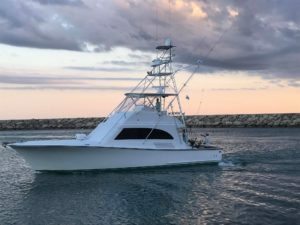 We fished the Marina Casa de Campo Fishing Club Cup, a month long tournament and we tried hard in some tough fishing the last few days but the fish didn’t cooperate, and came up 1 fish short for the tie with the Fa La Me. A big congrats to the The Fa La Me for pushing us to fish at our best all month. 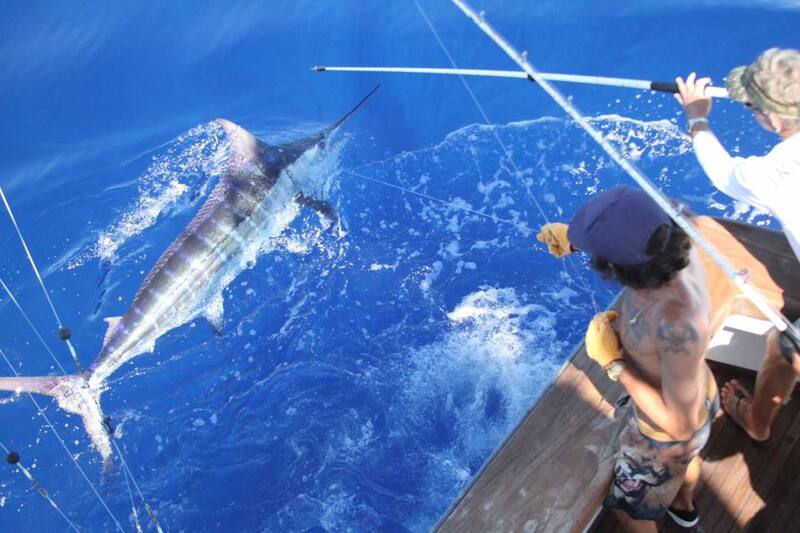 We fished the Casa De Campo Blue Marlin tournament in March with Anders and Petri from Norway. Fishing was great, we saw around 35 blue marlin in 4 days (1 pre fish day) and even with some very limited experience in this type of fishing we managed to come 3rd overall and win top angler for Garrett Penley. 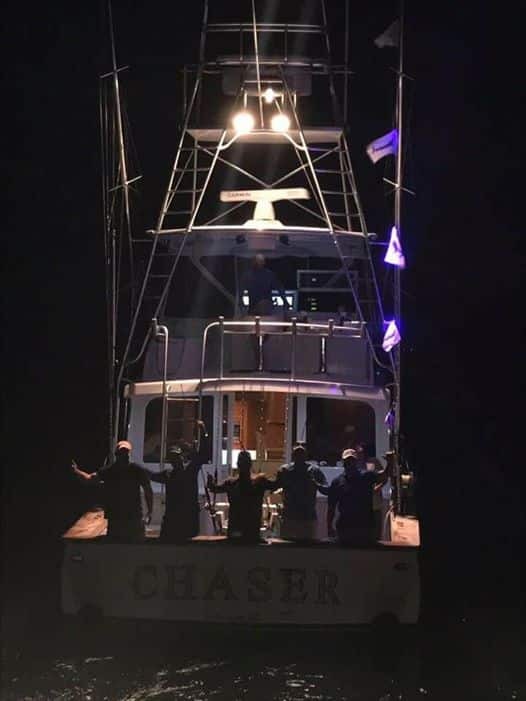 Chaser has a few more days the end of this week fishing 30lb, then we switch over for a month of fly fishing for blue and white marlin, with April 27 and 28 here on the FADS, then moving to Marina Cap Cana thru July for the White and blue marlin season. We are also doing half day trips this year for those that can’t make a full day out of Cap Cana. message me here or email me from the website TraditionCharters.com for more information. 2018 our schedule will be Caribbean /DR February, especially good for fly fishing numbers in February and March in Casa De Campo with our cond. Late April move to Cap Cana thru July for the white and blue marlin season, as well as open to any other destinations such as St Thomas, BVI, St Martin etc. Book now for the best dates and moon phases. All of the new Garmin electronics are working so well, and could not be happier, we are seeing more fish with the ultra wide beam Airmar transducer than ever before, and will be putting in all the same Garmin electronics into the TRADITION in August ready for the Cairns season. February saw Garrett, Chris and I travel to Miami for the Annual Billfish Foundation awards dinner, where we won top captain and crew for tagging the most black marlin in the Pacific ocean with TBF tags for the 8th year in a row, as well as placing in the top boats for blue and white marlin releases and tags in the Atlantic for our DR season. TRADITION is 49 feet in length and was designed and built for one purpose - to catch 1000lb black marlin with no compromise in design or construction.